Last year we were approached by Dr. Kevin Keyes and his wife Michelle with a huge opportunity. They are both very passionate about food and healthy living. Kevin wanted to produce 10 cooking shows with Michelle as the host and instructor teaching people how to think differently about the foods they eat. Because of the large scope of this project we knew we where going to have to do more than produce these shows. How would they get noticed? We all put our heads together and decided we needed to create a brand. This is something we at Seven-Nine have not done before, so it was new to us. Always up for a challenge and loving to learn new things we forged ahead into uncharted territory. 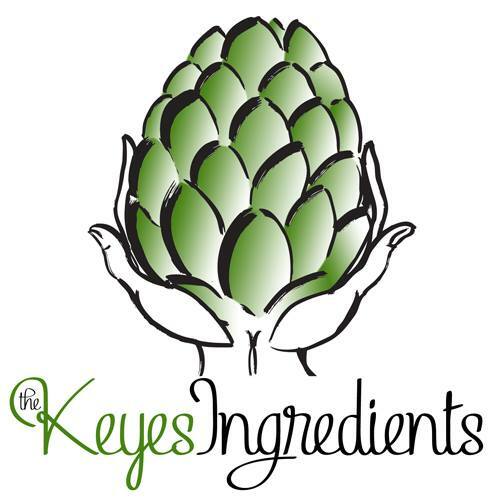 We created the name “The Keyes Ingredients” with the idea that it isn’t about the food as a whole thats not good for you, but rather the ingredients the food is made of. After that we needed a logo. I turned to my good friend and amazing artist Ben Humeniuk to help us come up with a logo that indicated working with the hands and healthy living. Worked out great! Next we created a Facebook page (when Facebook was still fertile ground to grow an audience) and started priming the pump and gearing up for the release of our 10 shows. The production of the 10 episodes began just as the seasons where changing from Summer to Fall and lasted thru Spring of that year. We all learned quite a bit about producing a full blown cooking show like this. Here are some photos of us in action. As we shot episodes we were also simultaneously editing and releasing them onto YouTube and Facebook. The response we got was awesome! More than we expected! When we wrapped everything up in March we were all very excited we had come together and pulled off such an enormous task. I can tell you that being a small production shop like we are this was a huge stretch for us, but now we are ready to get going onto more projects like this one and hopefully larger ones! On top of all the shooting and editing we also designed a web site for The Keyes Ingredients too. Very soon this web site will be upgraded into our brand new product of Premium Web Design which we will have available for you in the near future. When you’re ready to build your brand make sure and contact us. We are your one-stop-shop. Thanks! We look forward to working with you soon!